Brief Synopsis – A struggling minor league baseball club must try to deal with ownership corruption and the prevalent racism of the 1950’s South. My Take on it – As a kid who had cable but only HBO as a pay movie channel, I watched A LOT of movies on that channel for nearly a decade from 1983-1992. In addition to the regular theatrical films shown on HBO monthly, there also were numerous HBO productions that would receive lots of advertising and therefore I would watch those films also. There really is no way for me to be able to measure how many HBO Original movies I watched during that time period and every so often, I am reminded of them here and there. 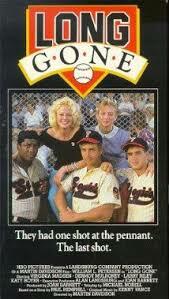 Recently, I was reminded about this film and sought it out since I recalled it was pretty good and also because I’m a fan of baseball movies. I recalled that this film had a great cast with William Petersen, Virginia Madsen, Dermot Mulroney and even the ever silent Teller (of Penn and Teller) who actually speaks here. Unfortunately, they try to do way too much with this film and instead of making their mark with a few pretty good ideas, they spread themselves too thinly in a bit less than 2 hours. I think that if they had made this a mini-series or short HBO series (like 1st& 10) perhaps, they would have been even more successful here. Instead, we get a mediocre baseball movie with some good characters, good actors with too many ideas thrown together that makes it all feel over stuffed. Bottom Line – Unfortunately not as good as I remembered and despite touching on some interesting subject matter, the movie as a whole is pretty mediocre. Nice cast can’t really help this be anything more than it actually is. They try to do too much here and the movie suffers because of it. This might have been better as an HBO miniseries back in the 80’s instead of as a HBO Original Film.